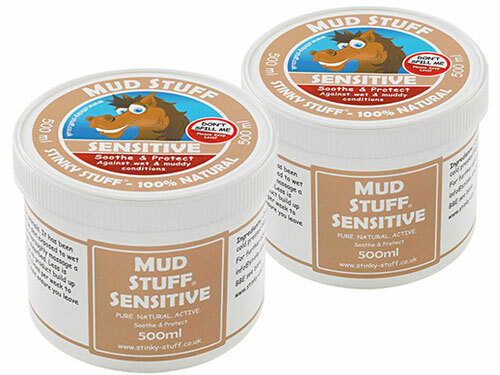 Mud Stuff Sensitive is a soothing anti-bacterial & anti-fungal massage rub, enriched with Tea Tree & Lavender essential oils, specially formulated for sensitive horses exposed to wet and muddy conditions. This extra mild oil based rub provides relief from the harmful effects of wet and muddy conditions and creates a barrier to protects against future irritations. For instructions on how to use Mud Stuff Sensitive please see our help guide.